The Bureau of Customs has put up an exclusive lane for arriving overseas Filipino workers (OFWs) in NAIA airport. NAIA-Customs District Collector Ed Macabeo explained that the OFW lane is intended for the convenience of OFWs. He added, OFWs should report if they were "hasssled" by any Customs personnel. He also promised that action will be done within 24 hours. 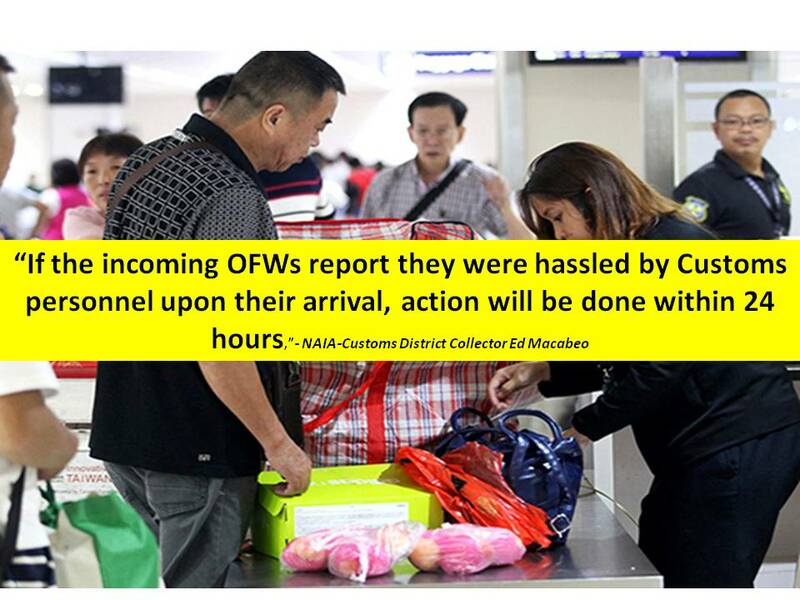 “If the incoming OFWs report they were hassled by Customs personnel upon their arrival, action will be done within 24 hours,” Macabeo said. 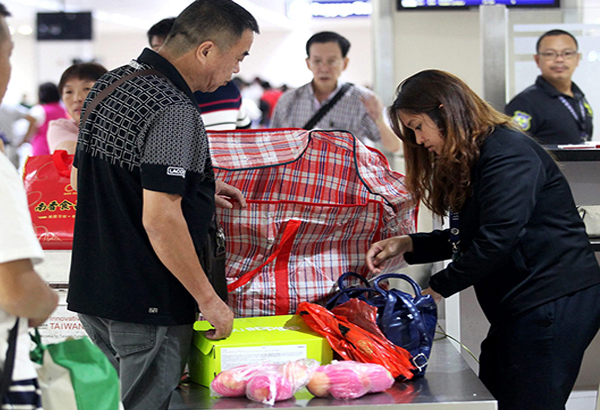 According to the Customs District Collector, luggage brought by OFWs or balikbayans shall be excluded from inspection, unless if they are bringing illegal items like drugs, and guns. OFW luggages will still be subjected to x-ray if they are bringing commercial quantities of goods. Some improvements include a much cleaner waiting area, well-maintained aircondition, cleaner wash room. The wifi signal has also improved. Aside from the exclusive entrance for OFWs, there are also airport bus that passengers can avail at a much cheaper price instead of taking taxi.